Wolves ended their home hoodoo as they secured a 2-1 Championship win against play-off bound Sheffield Wednesday at Molineux. Kenny Jackett's side had drawn their previous four home games 0-0 and had gone 360 minutes without scoring in front of their own fans. The goal drought came to an end after seven minutes thanks to an own goal by Michael Turner and Wolves then doubled their advantage through George Saville in the 35th minute. Lewis McGugan capped an improved second-half display by Wednesday with a last-minute penalty but Wolves held off their late flourish to record their first home win since beating Bristol City 2-1 on March 8. Wednesday manager Carlos Carvalhal had an eye on his forthcoming play-off challenge as he made 10 changes to his starting line-up. 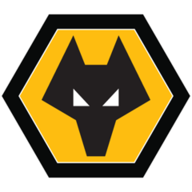 Lucas Joao was the only player to be retained by Carvalhal and Wolves took full advantage of the new-look Wednesday side to take an early grip on the game, but they needed a slice of luck to end their home goal drought. Sixty seconds after Jed Wallace had a goal disallowed for offside, Wolves broke the deadlock in fortuitous fashion. Wolves left-back Matt Doherty cut into the Wednesday area and rolled a low cross into the six-yard box. Wednesday central defender Turner got himself into a terrible muddle trying to clear the ball and all he succeeded in doing was deflecting Doherty's cross beyond stranded goalkeeper Joe Wildsmith. Wednesday sought a swift response to falling behind and they would have found one as well had it not been for the Wolves goalkeeper Carl Ikeme. 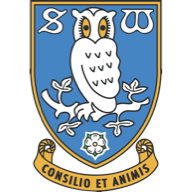 He pulled off a stunning one-handed save to deflect away a fierce free kick from McGugan after Atdhe Nuhiu had been fouled on the edge of the area by Conor Coady. Wednesday then faced more frustration when Aiden McGeady waltzed his way forward and let fly from 20 yards only to see his shot deflected to safety with Ikeme stranded. That was a let-off for Wolves, who took full advantage to double their advantage. Seconds after he had hit the inside of the post from 10 yards, Saville made no mistake with a perfectly placed drive from the centre of the area after Wednesday had again been undone by a cross from Doherty. Having struggled to muster too much as an attacking force in the first-half, Wednesday did at last make a swift start to the second period and were inches away from pulling a goal back when Nuhiu headed a right-wing cross from McGeady over the bar. Nuhiu used his height to good effect again after 58 minutes when he met a cross from Joao only for his latest effort to fly wide. Liam Palmer tried his luck from long range and Marco Matias saw an overhead kick flash past the post as Wednesday searched for a route back into the match. They finally got it in the final minute when McGugan scored from the spot after Doherty had handled a Palmer cross. But it was too late to deny Wolves a long overdue home win.